I’ve experienced a fair amount of controversy as a blogger. I’m no stranger to defending my views with supportive statistics and personal passion. However, on Monday when I posted “Plus Mommy celebrates Black Breastfeeding Week!” and shared a picture from the Black Breastfeeding Week’s Facebook page I didn’t even consider I’d receive any backlash. Sadly, I was so naïve. Before I talk about what occurred on my Facebook page, I’d like to rewind back to the end of June when I attended the second annual Birth Activist Retreat. At this retreat, I had my world rocked by an inspiring woman named Sherry Payne, founder of the Uzazi Village. Her talk was entitled “Birthing While Black” and she spoke in front of 40 female birth professionals from across the United States. 40 white women. She shared startling statistics like how black women are four times more likely to die in childbirth than white women and babies are twice as likely to die. I remember writing these words down as she spoke them because I was so moved by what she was saying. She also talked about how we needed to sit with our discomfort and then move forward. These shocking statistics aren’t going to change unless people are willing to talk about them and then act. As with any exciting experience within my life, I called my mom. I shared with her everything Sherry taught me and I was excited to do better now that I knew better. See, I’ve always felt like I tried to reach out to other races but then I took a look at my breastfeeding gallery on the Plus Size Birth website. There were seventy-five photos and only three photos of black women nursing (two from the same woman). I had tons of room for improvement. Fast-forward to this Monday. A friend of mine, on her personal Facebook page, shared a link to Black Breastfeeding Week. I saw it and wanted to share on Plus Mommy. I know I would’ve shared this link regardless of my new knowledge but now I had, even more, passion about bringing awareness to the issues black women face with birth. Immediately comments came pouring in from “why isn’t there a White Breastfeeding Week” to accusations of me perpetuating the racial divide by sharing Black Breastfeeding Week. I was shocked! As the minutes ticked by the comments only got worse. I responded to the negativity by sharing the knowledge that Sherry had imparted to me in a third post. That didn’t stop the attack on the first two posts. While some women spoke out in defense of Black Breastfeeding Week I felt the need to respond even stronger. My final response received over 100 comments and reached over 9,000 people. 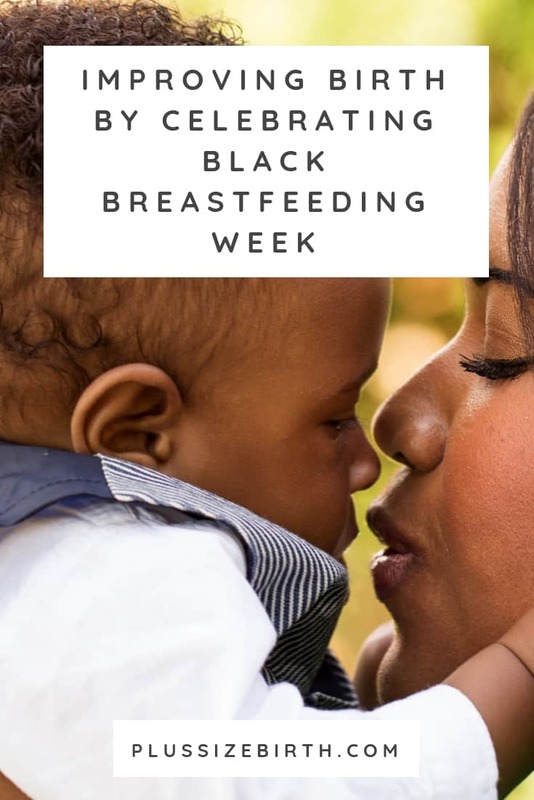 Black Breastfeeding week was started by black women to bring awareness to heartbreaking statistics, celebrate those who choose to breastfeed, and most importantly to save lives. 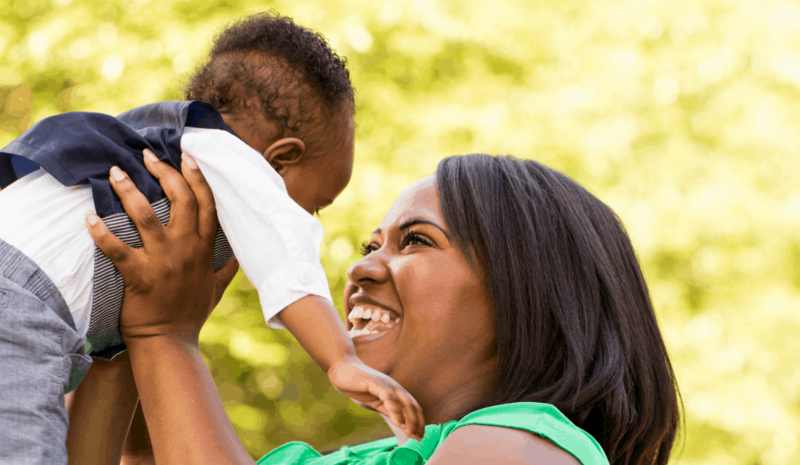 A recent study by the CDC found that black women are the least likely to breastfeed and infant mortality rates could be reduced by as much as 50% if they did. As a white woman, I have come to understand that when people look at me I receive a certain level of privilege because of the color of my skin. I can turn on the television, go to the movies, or open a magazine and see people of my race widely represented. 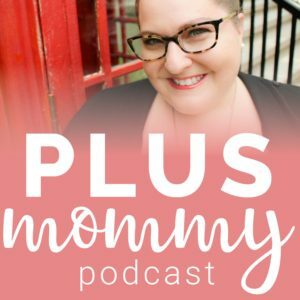 When I started Plus Size Birth I made it my mission to normalize plus size pregnancy and birth. My mission is incomplete without having women of all races properly represented within my work. What took place on Monday was a strong reminder of that. If we really want to improve birth outcomes then we need to be willing to talk about and celebrate Black Breastfeeding Week. As Sherry said, we need to sit with our discomfort and move forward. Well said! Having only just come across your blog in the last few days I am blown away by the content. Wish I could join the rally, bit hard from all the way from London! I would rather see that breatfeeding awareness shares the campaign with every race and culture. I really feel we need to reach out to eachother where we meet eachother, it simply isn’t enough bringing online awareness when sone of us wouldn’t even consider striking up a conversation with fellow mummas of different ethnicities. We need to rebuild connections, the ones we ignore and turn a blind eye to. Thank you for your comment! I’m excited to have a follower from London. I don’t know if you’re aware of this or not but August is National Breastfeeding Awareness Month. So we have a whole month to come together and bring awareness to breastfeeding. I believe a week, within that month, dedicated to black women because of they have the worse breastfeeding outcomes in truly needed. Fatima– please see Empowered Birth Awareness Week- it is a global, shared event geared twoards improving birth. sounds good and bad… because it enables the continuation of segregation and the “importance” of color, instead of the original purpose of this week the importance of feeding every child in the natural way… by promoting more one culture it actually makes the opposite of being cultured, because people will just either dismiss it if its not of their race and not learn anything at all. Thanks for your comment Veronica. I see your point but I still stand firmly that we need to do anything within our power to bring more awareness to the heartbreaking statistics from that recent CDC study. 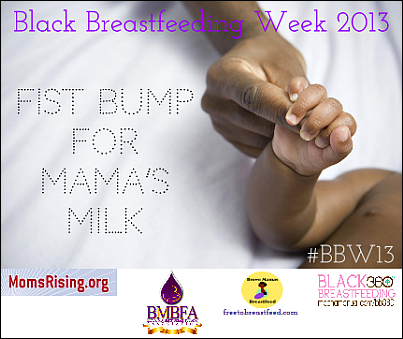 A group of black women felt having a Black Breastfeeding Week was needed and I support them. I am really happy that color is not important to you, it should not be to anyone, however the reality is much different for black mom, and people of color in this country. I don’t see how recognizing and try to change the low breastfeeding statistics for black women, BY black women is segregating anything? Beautifully written, Jen. You continue to move and inspire me. Your passion for birth and babies is amazing. Thanks Jen! You also make such a difference in the lives of mothers and babies. Thank you Nae! It was an honor to take a stand for black breastfeeding week. I plan to be an ally far more often than once a year about this issue. I just stumbled across your blog (thank God) looking for advice on plus size baby wearing and felt so informed with the information provided. This prompted me to look at other posts. I am a young black woman about to have her second child, I breastfeed my first child and was always hard pressed, almost 3 years ago to find: a.) plus size women breastfeeding who could relate to my concerns and daily issues, b.) black women who supported the act of breastfeeding beyond the colustrum period. So, with that said, I appreciate you, I appreciate you as a beacon in the plus size community for seeing beyond your and your viewers comfort zone to help a woman like me! Not only are you helping me but through your choice to speak out, inform, and pass on and be apart of this movement, I can give more resources to my friends and family that are unaware and cannot comprehend the blessing and benefit that it is to breastfeed their children! Danielle, you wrote this message to me on my birthday without knowing it and I tell you it was one of the best gifts I could’ve received! Thank you! Hi there- I am a mom/person of color and I just want to tell you kudos for writing this and standing with other black moms during black breastfeeding week. I think the fact that you formula fed and are not black makes it even more amazing. It’s funny because when I first saw black breastfeeding week, I was taken aback as well…because even though I consider myself informed about baby related things, I had no idea how the statistics broke down.